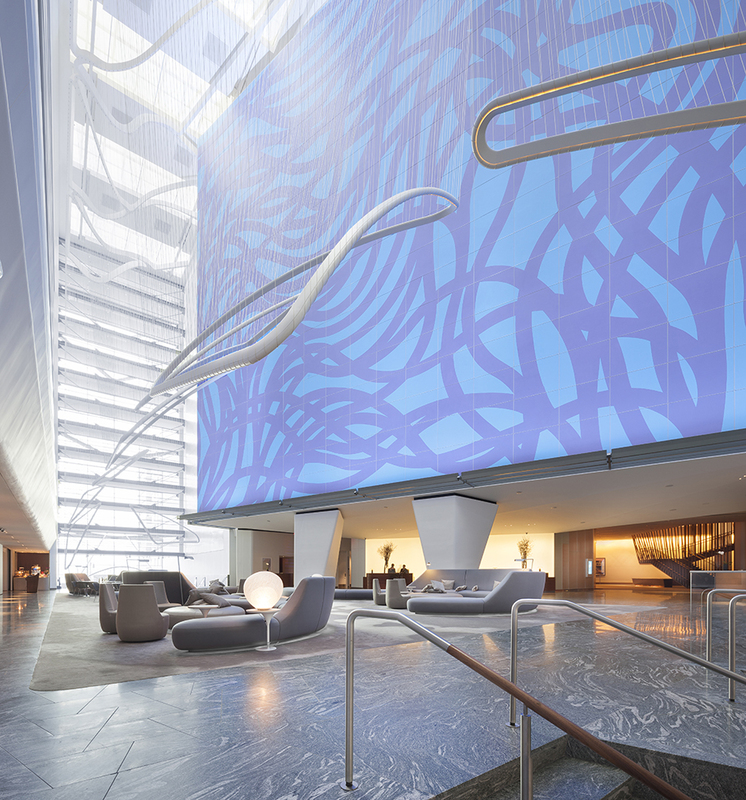 The use of materials and volume in this upscale urban hotel is simply stunning. 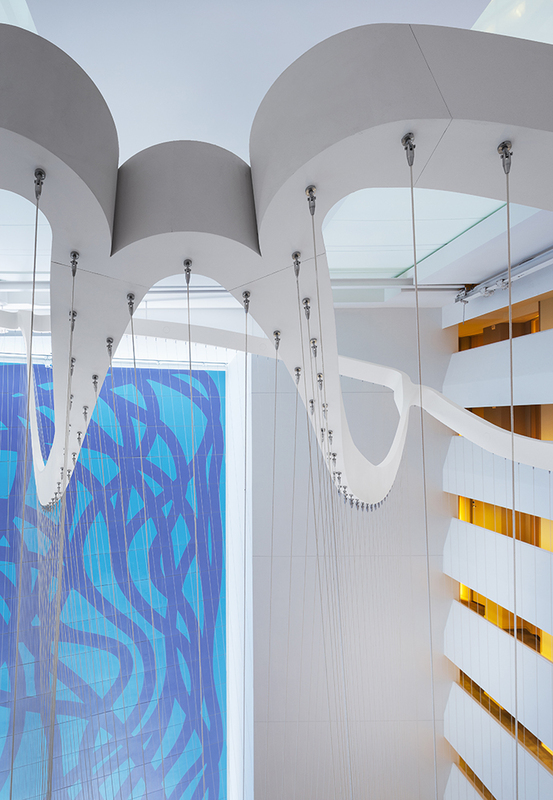 An immense Sol LeWitt drawing is the main feature of the soaring atrium lobby. It sparks the design and incorporates the canvas as its centerpiece. 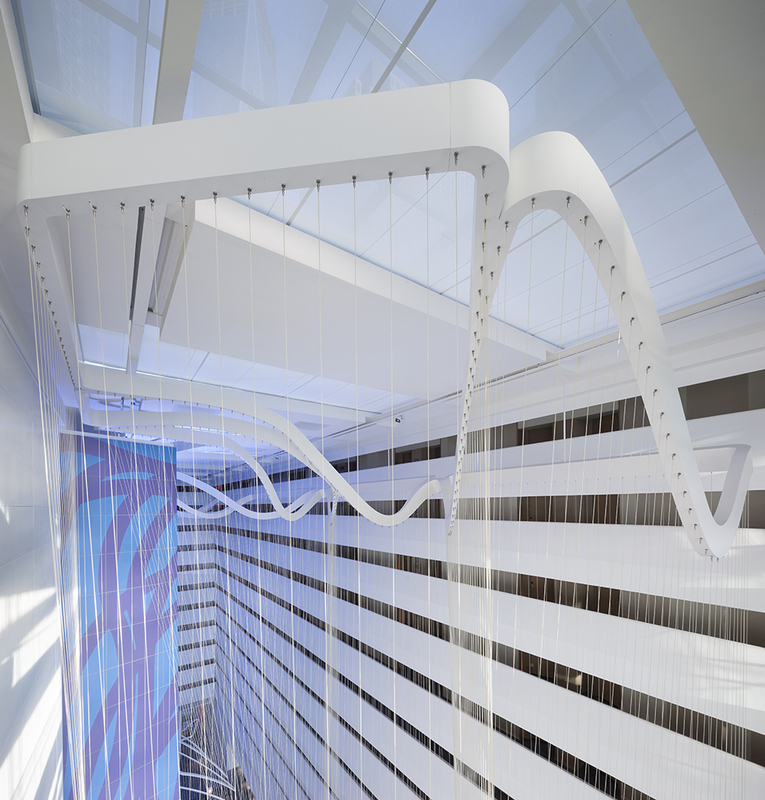 Hanging from the 16th floor, a series of suspended polymer fiber veils provides an atmospheric effect that evokes the LeWitt, filling the space while seeming to expand it. Fixed at the top, the digitally-produced veils are free to gracefully twist, torque, and bend, creating a sinuous and ephemeral landscape. 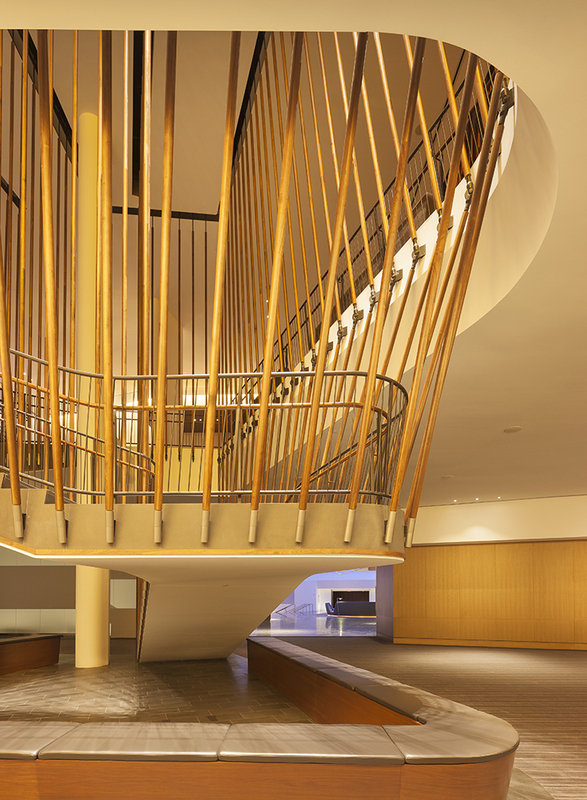 All of the millwork, particularly the stairs, is beautiful. The restaurant details—stools, tables, the intriguing ceiling—are gorgeous. 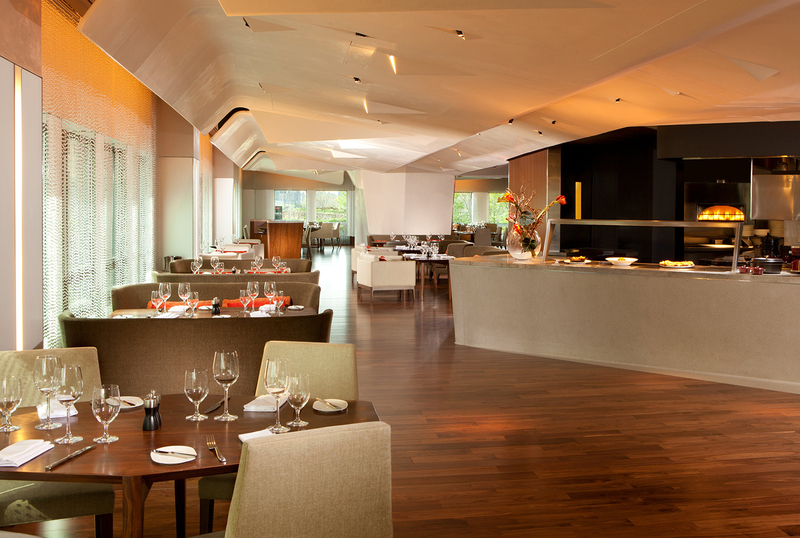 Throughout, details are taken to the Nth degree, expressing across-the-board quality.